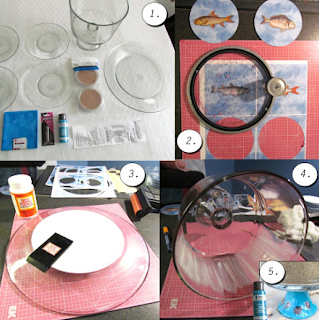 Today's tutorial comes, once again, from Walter of Mod Podge Rocks! Our Sea Life collection turns simple glass plates and a trifle bowl into a stunning table scape, perfect for outdoor entertaining! Says Walter "I am very pleased with the results. SO easy. 98% of all my items from Walmart were Made in the USA, which was also a very important factor in my purchase decision!" Want to give this tutorial a try? Read the full instructions on Mod Podge Rocks! 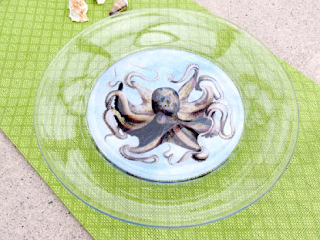 and enter to win our Sea Life clip art collection by Friday 8/16/13!